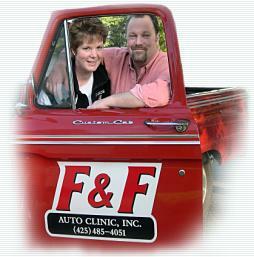 About F&F Auto Clinic, Inc.
Ed and Amy, his wife, purchased F&F Auto Clinic from Frank and Maureen Portulano on October 1, 1995. At the time there were three mechanics, a full time office assistant and maintenance/janitor person. Amy left her job as an underwriter at Liberty Bond Services to assist in running the business. She brought with her experience in insurance, financial management and other business related skills. Ed focused on managing the service facility while Amy took on the business management tasks. They both shared in making sure quality auto care and customer satisfaction was provided. They hired two additional mechanics in the first months of ownership as the business began to take off. They approached and hired Mark Nilsson in September 1996 who had worked for F&F earlier in his career. Mark brought tremendous mechanical experience and knowledge as well as service writing skills to the team. During Ed & Amy's ownership of F&F for the past eight years, the business has tripled its revenues and now employs seven experienced technicians, a service manager, office assistant, maintenance/lot attendant person and two other part time employees. The business provides complete automotive repair and service for both foreign and domestic vehicles. A strong and loyal customer base has been established from word of mouth referral continually bringing in new and satisfied customers. F&F strives to stay up with the latest technology. Investments are continually made to maintain the most up to date equipment, tools, and computers. Technicians and service managers are encouraged to remain current on ASE certifications and attend continuing education courses in the automotive industry. We believe in giving back to the community. We actively sponsor and coach youth athletic teams, donate to various charities and other organizations, and volunteer our time with local youth organizations. We support the Automotive Service Association and remain active as both national and local members. We support and participate in programs educating students on career opportunities in the automotive industry as they are our future. 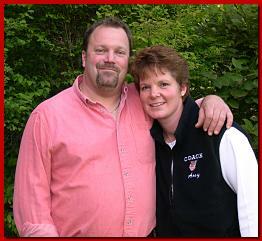 Ed and Amy both remain actively involved in the daily operations of the business. The friendly atmosphere and professionalism of the F&F staff make customers feel at "home" and their automotive experience positive.